How do I care for my Centa-Star bedding? Can I tumble-dry my pillow? What do the symbols on the care label mean? With the right care, you will enjoy your duvet and pillow for many years. You will find tips about your Centa-Star products and many valuable tips for a perfect care of your products. Our complete fibre bedding range can be washed. We recommend you to wash extra-large quilted duvets or mattress protectors in a laundromat because they have washers with a larger load capacity. 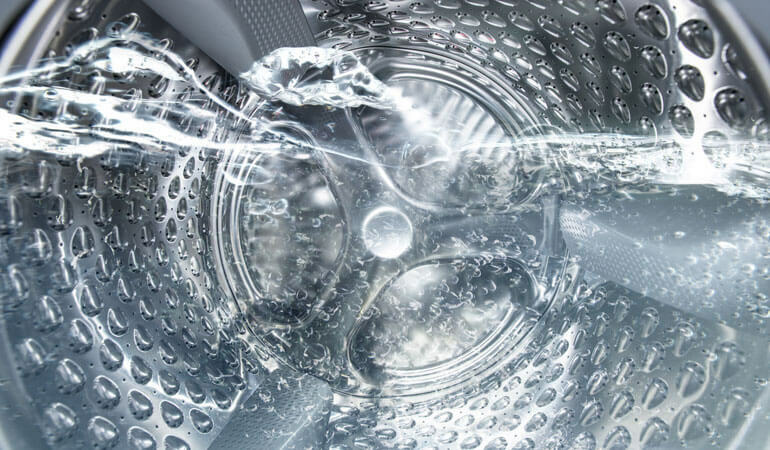 Our product ranges can be washed in washing machines with a capacity of 4.5 kg and more up to 60°C. It is not necessary to remove the filling of pillows. You can launder the complete pillow in the washing machine. 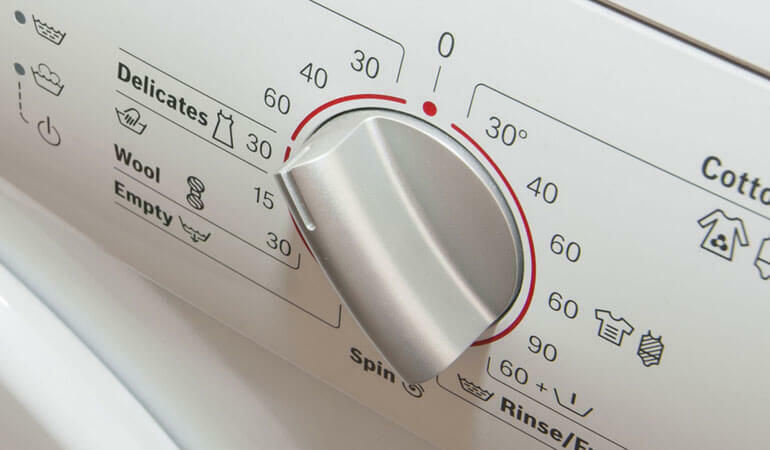 Use the delicates programme of your washing machine to launder our products and spin at a maximum speed of 1,000 rpm. Only use liquid and mild detergents. Please refrain from using softeners. They are aggressive on the fill material and cause a harder precipitation of your bedding. You can, however, use scent boosters whenever you want. After spinning, you only need to shortly shake your duvet or pillow to its proper shape and hang it up or place it on a laundry rack for drying. 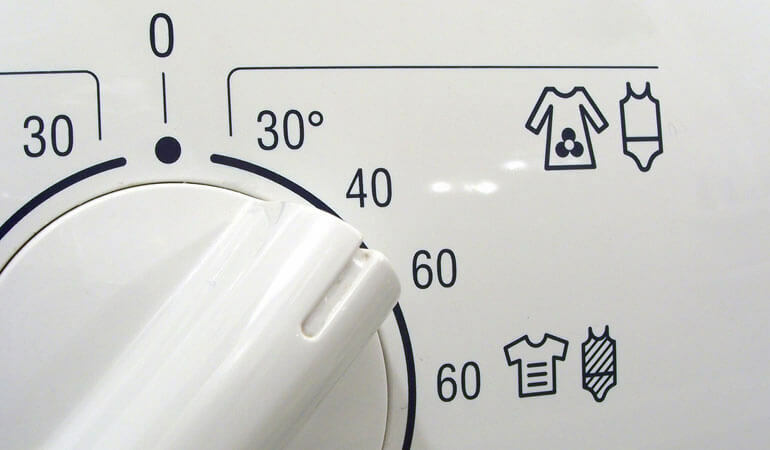 You can also use a tumble dryer at a reduced temperature up to 40°C (e.g. programme for delicates). High temperatures may result in a melting of the fibres. Take your fibre duvet (or fibre pillow) from the tumble dryer, shake it and let it aerate. If it is still moist, repeat the drying process at the same temperature. Do not overload the dryer as this may lead to an accumulation of heat resulting in a melting of the fibre filling. Factors such as washing, sweating, use, etc. impair the functionality of your duvet in the course of time. This is a normal process. The average life span of products of good quality at normal wear is as follows irrespective of the material: pillows 2 to 3 years, duvets and mattress protectors 7 to 8 years. Our feather collections Moments, Harmony and Emotion Junior can be washed in domestic washing machines with a loading capacity from 4.5 kg and are tumble dryer safe. Due to their very delicate down filling, the premium quality collections Glamour, Sensation and Luxury can neither be washed in domestic washing machines nor are they tumble dryer safe. We recommend special cleaning for feather/down bedding (upscale specialist shops offer this service). For a gentle washing of your feather/down duvet (Moments, Harmony, Emotion Junior), please use the wool programme up to 40 °C. The bedding shall be thoroughly rinsed and spun. Make sure that the drum is loosely filled. You can wash especially voluminous baffle box duvets and extra large duvets in the larger washing machines of laundromats. 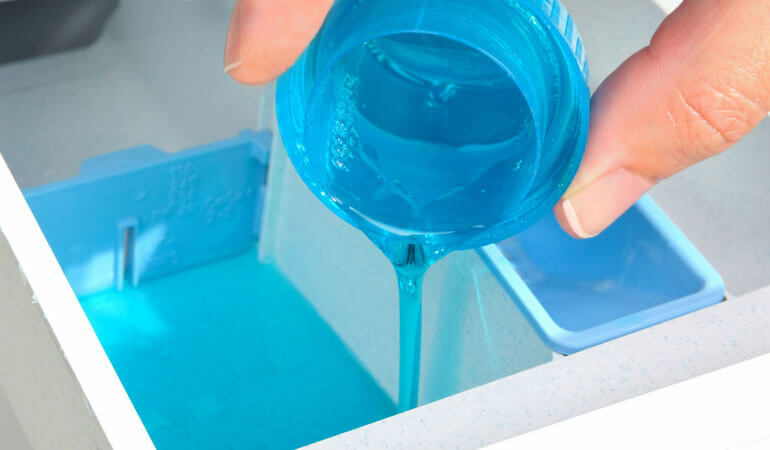 We recommend alkali-free washing powders. Special down detergents are especially gentle. You can buy it in well-sorted shops or from chemists. Like with fibre bedding, do not use softeners with your down duvets or pillows. They are aggressive on the fill material and will shorten the life span of your feather/down bedding. For drying, select the highest temperature of the dryer. Down and feather products shall be dried in at least three cycles with 30 minutes each. Between the individual cycles, let them aerate for about an hour and shake them several times. Please note that you must not dry the Glamour, Sensation and Luxury collections in domestic tumble dryers. For bedding with a filling of more than 850 grams, we recommend a 10-kg tumble dryer. You can also bring the products to a laundromat and have them washed and dried according to the care instructions. Check the bedding for residual moisture and dry again if necessary. Avoid residual moisture by all means. 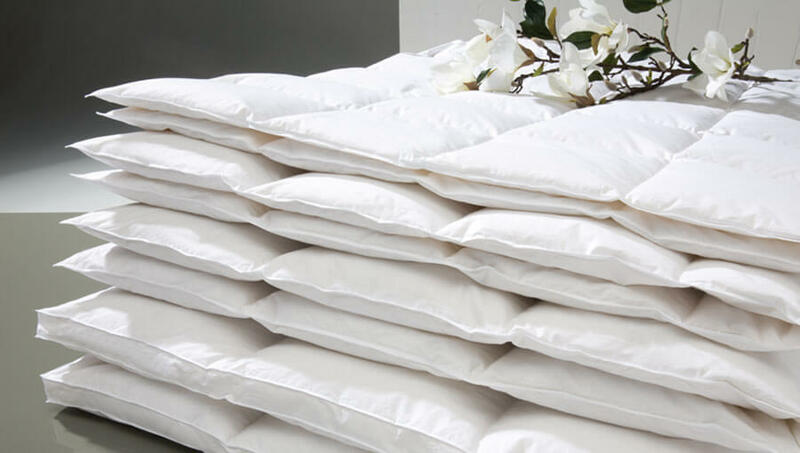 Down duvets and pillows are sensitive natural products which may be damaged by moisture. We recommend to use our Centa-Star washing and drying balls in the dryer. This will ensure a uniform drying of down and feather products giving them back their original volume. Please store your down duvet or pillow at a dry place. You can also use the breathable packaging in which our products are delivered (except poly bags). This packaging allows a good aeration. You can also store it in a bedding box without packaging. Add a natural repellent for cloth moth, such as lavender sachets.With the correct care, you can significantly prolong the life of your bedding. By the way, do not vacuum your down duvet or pillow as the cover may lose its downproof property. In addition, small feathers may be sucked through resulting in a volume loss. 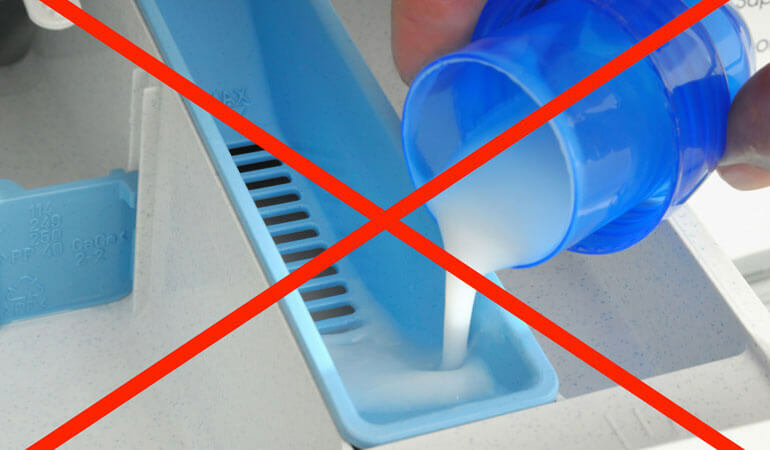 The cores of the pillow bar and the neck support pillows cannot be washed. If need be, you can remove the fabric casing and wipe off the core with a damp cloth. Let it thoroughly dry. You can wash your Relax Smartpillow at 40°C. Please not that the Relax Smartpillow is not tumble dryer safe. The high temperatures in the dryer could damage the sensor in the core of the pillow. All casings of our special and neck support pillows and the mattress toppers are washable – many of them are also tumble dryer safe (exceptions are e.g. the special pillows of the Relax series and the Vario Space pillow bar casing). Please observe the respective washing recommendation. For neck support and special pillows, it’s the same as for other pillows: let them thoroughly dry after sleeping. This reduces the number of mites and prolongs the life of your pillow. What does a triangle mean on your care label? Here is an overview of all common symbols – not only on our care labels!